Teimme jälleen RIDE MORE paketin, joka tuo maksimaalisen määrän ajamisen iloa ja suorituskykyä polulle. Voimme räätälöidä tätä pakettia makusi mukaan. Vakiona Mavic 30mm sisäleveät hiilikuitukiekot. Bike Yoke Revive hissitolppa ja Sram GX Eagle voimansiirto. Vapaavalintaiset renkaat WTB, Vittoria ja Maxxis maallistostamme. ONEUp Switch pyöreä tai Ovaali eturatas, voit itse valita rattaan koon. Vuoden hauskin ja monipuolisin trail pyörä kaikille poluille. The best trail bikes are neither whippy nor overbuilt. They are, in a word, balanced. We sweat the details—painstakingly developing the precise mix of resins, composite fibers, lay-orientation and frame shaping to create a chassis with the perfect blend of strength and stiffness. 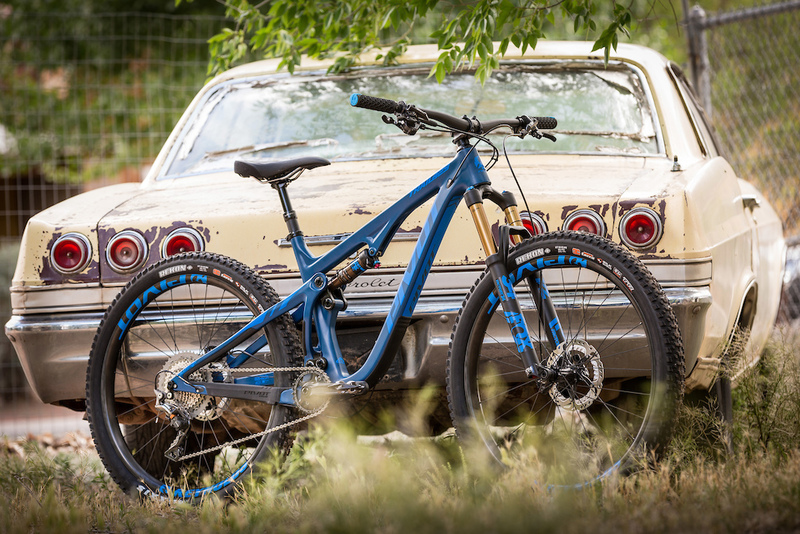 We’ve also given the Trail 429 many of the same strength and stiffness-enhancing features that you’ll find on our gravity-oriented bikes, including a double-wishbone rear triangle, Super Boost Plus rear axle spacing, ultra-wide suspension linkages and burly bearing assemblies. With the Trail 429, we’ve upped the ante on downhill performance without any loss in versatility. Dave Weagle’s dw-link™ design is renowned for providing great traction and downhill control without adding energy-sucking suspension bob or “squat”—that’s also why it’s the heart of the Trail 429. We’ve paired that class-leading dw-link® suspension with custom-tuned Fox Float DPS (Dual Piston System) and DPX2 shocks that give the Trail 429 120 millimeters of smooth and controlled rear suspension. The metric-sized Fox DPS shock features an extremely positive “firm” position that makes easy work of long fire-road climbs, while the DPX2 shock option offers unrivaled, fade-free performance on the longest, technical descents. To match the Mach 429 Trail’s deep-feeling rear suspension, we’ve equipped each model with a 130mm Fox 34 suspension fork. Interested in turning out the fastest lap times? Go 29er. Looking to conquer rocks, roots and loose terrain? The stability and traction of a wider 2.8 or 3.0” tire is a great choice. The Trail 429 gives you both options with no sacrifice in geometry or handling. That’s a rare thing. So, how’d we achieve it? We equipped the new Trail 429 with Super Boost Plus rear spacing. Super Boost adds strength and stiffness to the wheels and chassis (without also adding weight), but Super Boost Plus also enables us to give the Trail 429 a short rear center for nimble handling while providing outstanding tire clearance for both 29 and 27.5+ wheel and tire combinations. 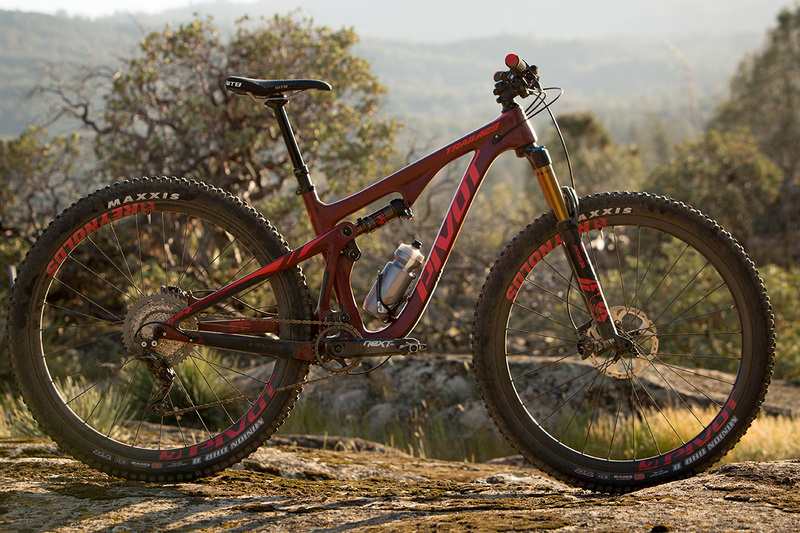 At Pivot, we believe the bike should fit the rider, not the other way around. That’s why the Trail 429 is offered in a wide range of sizes that fit riders from 5’1” to 6’7”. What’s more, our rider size-specific geometry creates a balanced fit and adjusted geometry that gives you optimal wheelbase length and handling. Our smaller-sized frames are built with shorter head tubes that create more stand-over height, which places riders in a centered, confident position with tons of clearance over the top tube. Balanced fit and feel—it’s why riders of every size can descend and corner on a Pivot with the highest confidence and speed.